NetQuote.it | "There are three sources of belief: reason, custom, inspiration." OpenWrt is a powerful Linux distribution for embedded devices. Main target is various router boards, but also other small devices like GuruPlug, ALIX Boards, OLPC. Next quick setup and build instruction for MR3420 router with 3g/UMTS USB Dongle for WAN connection. TL-MR3420 is Wireless N Router with USB 2.0 Port for UMTS/HSPA/EVDO USB Modem. Download data & formulas in excel. The voltage sensitivity is approximately 1 mV/°C and the accuracy of the temperature measurement is +/- 10°C. Measured temperature is a sum of ambient temperature and chip’s TDP. In fact it rises up for few minutes after the chip is powered and may change in base of load. It is a curious fact that putting chips in the freezer, after a few minutes when the temperature drops below zero, the chip stops working. This is the most easiest way to remove password of Windows system. Works on all Windows [NT/XP/Vista/Seven] – [32/64] versions. It’s floppy based Linux distribution, partially derived from floppyfw. Python GUI experiment. 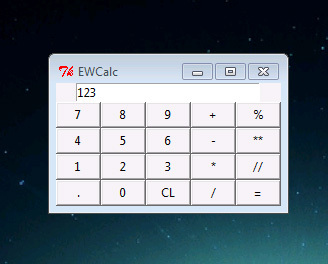 Simple calculator application made with Tk. It’s a first choice because it’s integrated into Python, simple to use and powerful enough for most cases. It’s also cross platform like an interpreter. DC motor drive circuit with automatic load regulation. Main concept is to cut off power from DC Motor and sustain the voltage in the circuit. Also detect low-battery state.